Polycystic ovarian syndrome can be debilitatingly painful and is one of the leading causes of infertility among people with ovaries, but little is known about why and how the condition develops. Now, thanks to a new study, we’re one step closer to understanding what causes PCOS and how we might be able to treat it more effectively. PCOS affects 10 percent of reproductive-age people with a uterus and yet remains relatively mysterious to medical professionals. 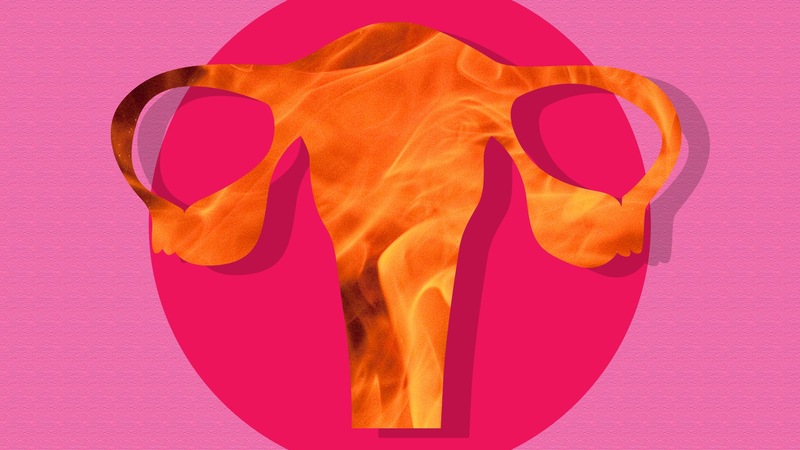 This is hardly surprising given the lack of research into related areas like menstrual pain, which have traditionally been ignored by scientists and funding bodies (because painful periods are just a part of being a woman, right?). But beyond the painful and/or irregular periods, PCOS can also come with elevated levels of androgen (a male hormone), which may result in excess facial and body hair and occasionally severe acne and male-pattern baldness. In addition to that (and the increased risk of infertility), people with PCOS are also more likely to get Type 2 diabetes. So, what do we know about the potential causes of PCOS? Not much at this point, unfortunately. Initially, doctors thought it began in the ovaries, but recent research suggests that it may actually start in the brain. In an article published in Nature Medicine, scientists found that the conditions under which a person develops PCOS likely start in the womb, when interactions between a hormone produced by the ovaries and certain neurons in the expectant mother’s brain can impact the fetus by disrupting enzymes in the placenta, potentially causing PCOS. At this point, the research has only been conducted on mice, so scientists aren’t sure whether the findings will translate to humans — nor does the research provide methods for stopping these in utero hormonal interactions. Additional research is required in this area, but at least we’re heading in the right direction and are closer to knowing the cause and treatment of this condition.